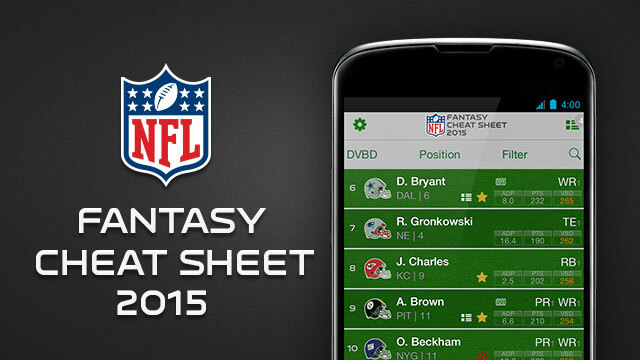 The official fantasy cheat sheet and draft kit application of the National Football League. 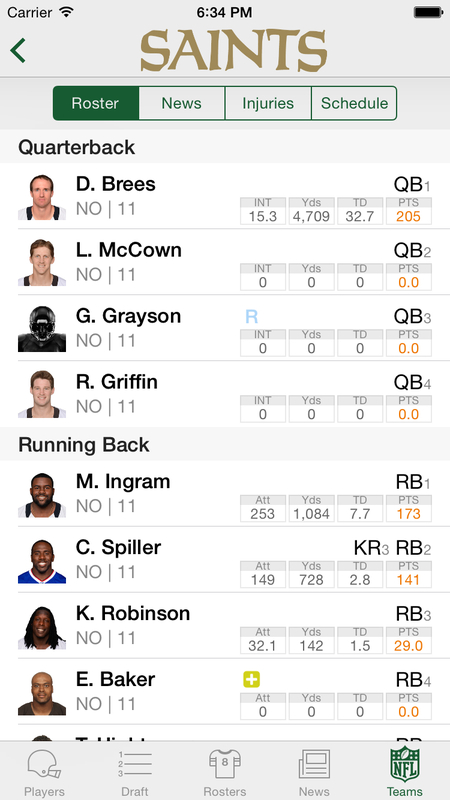 Featuring NFL content in addition to the latest player news, injury reports and depth charts. 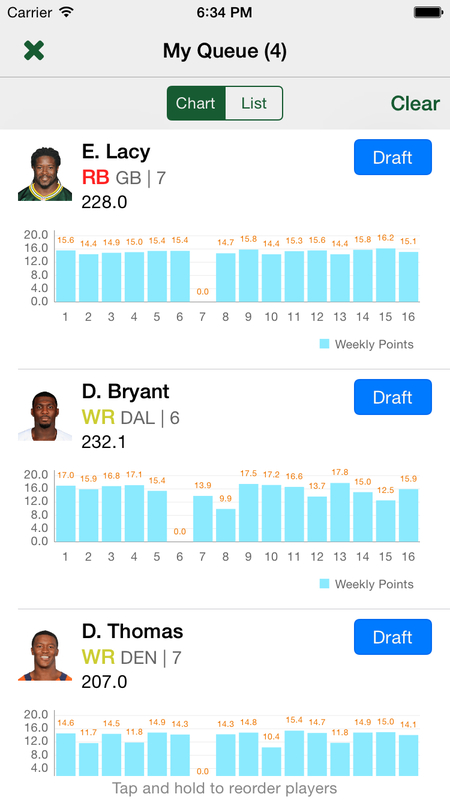 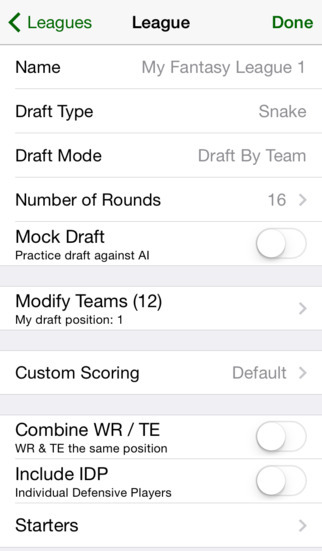 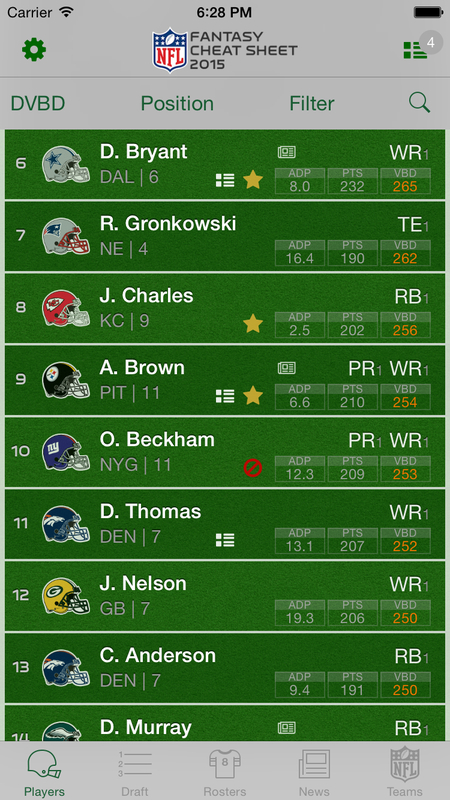 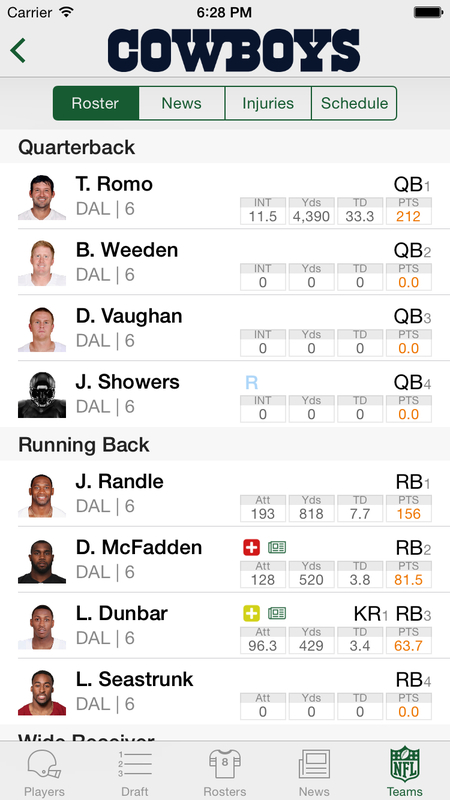 Create your own custom rankings or calculate them based on your league scoring system.